Perfect gift to the Bride & Groom to be! 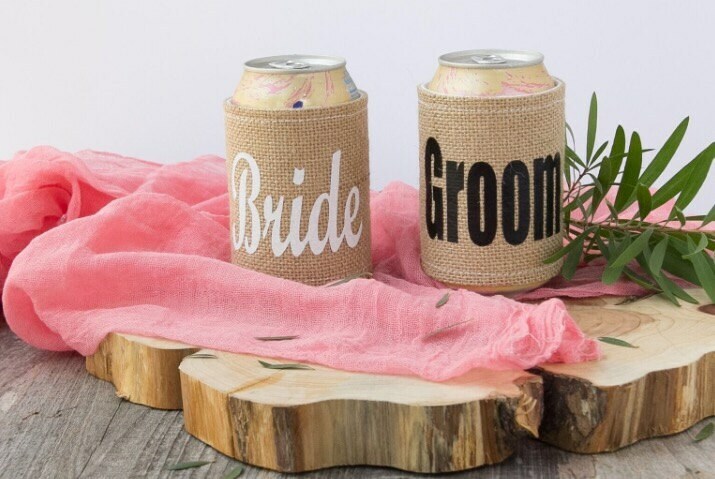 This listing is for a set of Burlap can coolers that read Bride and Groom. 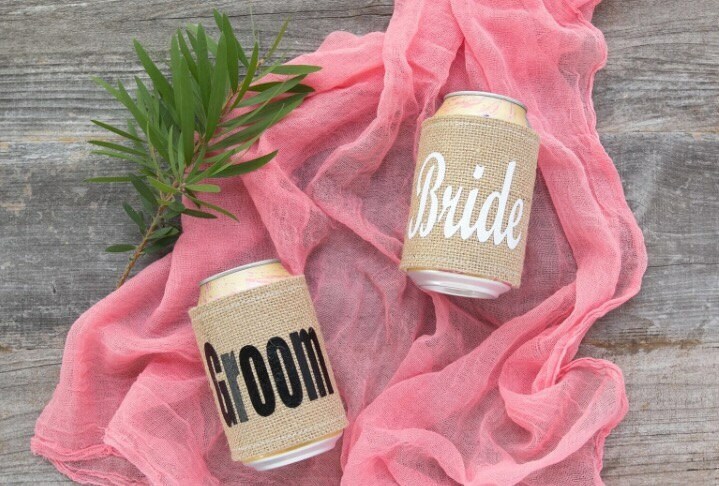 The Bride can cooler comes in a bling white which sparkles and the groom can cooler comes in a matte black. Perfect for dancing the night away on your big day!